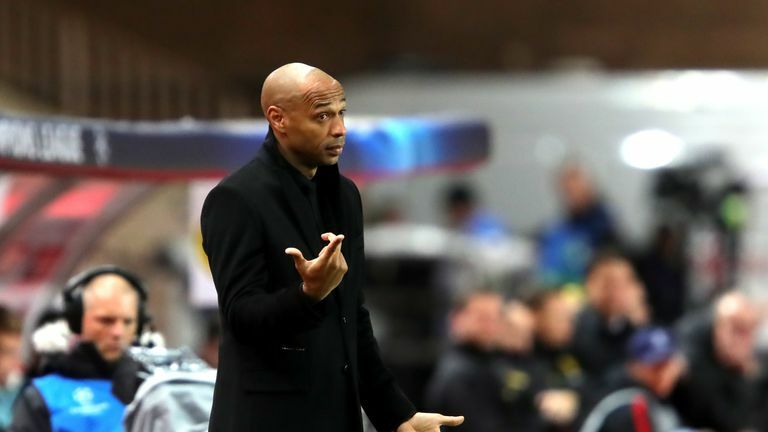 French football expert Jonathan Johnson has told Sky Sports that a lack of respect and unhappiness among players contributed to Thierry Henry's downfall at Monaco. Henry has been sacked after three months in charge, during which time he won only two league matches. But, according to Johnson, it was not only his record on the pitch that led to Monaco deciding to part ways with the former Arsenal and France forward. "It was always going to be a massive challenge for Henry because of the situation he was walking into." Johnson told the Transfer Talk podcast. "Monaco were not in a good state before he came over and things have not turned around since. Monaco's results have not picked up and he has not been able to win the squad over. "He did add a couple of members to the squad during the January transfer window, but the senior members of the squad do not feel happier playing under him than were towards the end of Leonardo Jardim's time in charge. "Most importantly, he doesn't seem to show much respect to the players and to opponents either. So a lot of the players in the squad felt his behaviour didn't befit that of a top club's coach. They went to the Monaco hierarchy and the leaders of Monaco had to make a decision at that moment. "It has not been an easy couple of months, certainly not a great introduction to coaching for Henry and he may well have learnt some valuable lessons from this experience." Henry's departure means his reunion with former Arsenal team-mate Cesc Fabregas lasted less than a month. 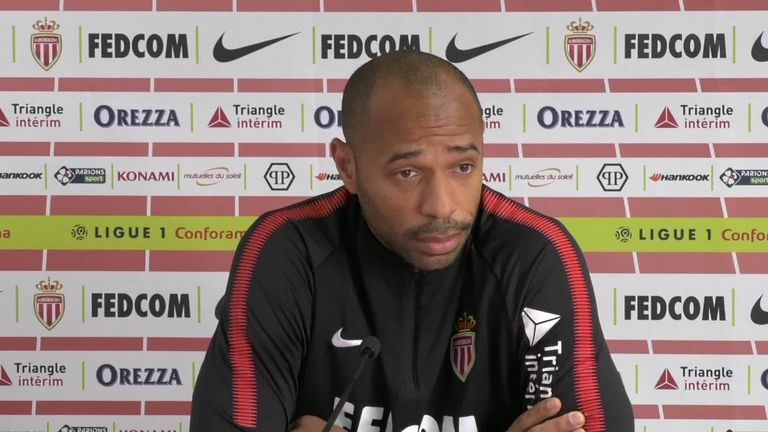 Fabregas joined the Ligue 1 side from Chelsea, and Johnson says he "wouldn't have been at Monaco if it wasn't for Henry". Asked how Henry's exit will affect Monaco's transfer plans, Johnson added: "I think it is going to have a really big impact. "Michy Batshuayi was keen to go to Monaco due to his links with Henry during their time together at the Belgium national team. That did play into Monaco's favour, but Chelsea were not favourable towards loaning him out again. So that move, regardless of whether Henry stayed or not, is not going to happen. "Jardim, having watched from a far, is going to go in there with a couple of targets in mind. The squad will already be stronger from than the one he left behind, Monaco could back him in getting one or two signings and that might give him enough man power and quality in the squad to keep Monaco out of trouble."